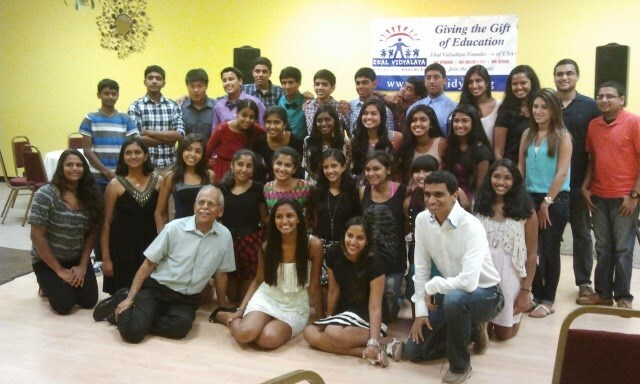 I am excited to share the great work our youth committee has done on August 23, 2013. 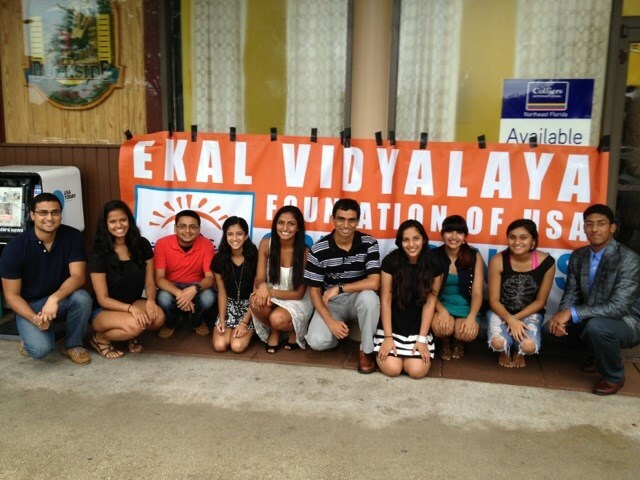 Shreya Mohan and Mukta Vibhute have put together a wonderful fundraising event for the benefit of Ekal. They have come up with the idea of doing a fun filled dance based event for high school students (and a few from middle school). They planned and executed the event in a well thought out manner. All we had to do was provide moral support and Ekal material to share with the attendees. They got the sponsorships for the venue, food, drinks and raised donations from their friends and fellow students. All attendees had fun and got to know about Ekal work with a video. A girl was so impressed wanted to know how she can visit Ekal School during her next trip to India. Many others were impressed by the work done by Ekal. They were able to raise funds to support two schools in India. A health camp was organized in Khaksikuna village of Bolangir Anchal, Odisha on July 21, 2013 by Arogya Foundation of India. A total number of 269 patients were benefited. Two Doctors and four Pharmacists/ Compounders attended the patients who came from far-flung areas. The medicines prescribed to the patients were given jointly by Local Primary Health Centre and Arogya Foundation of India. On the occasion of Silver jubilee year of Ekal Movement and 150th birth anniversary of Swami Vivekanand, a medical camp was organized by FTS Patna in Ramdauli village of Hajipur, Bihar. More than 500 patients were examined & treated in the camp. 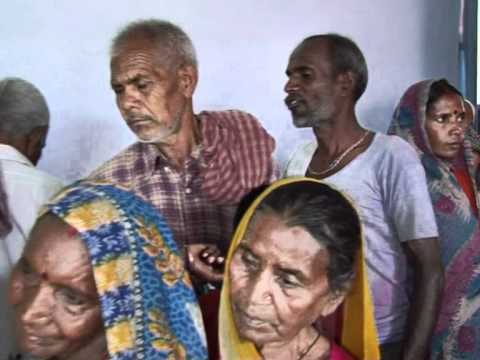 The patients also came from the nearby villages. The famous doctor of Patna, Sri Narendra Prasad, Patron, FTS Patna, led the camp. The medicines were sponsored by Sri Radhe Shyam Bansal, President, FTS Patna. 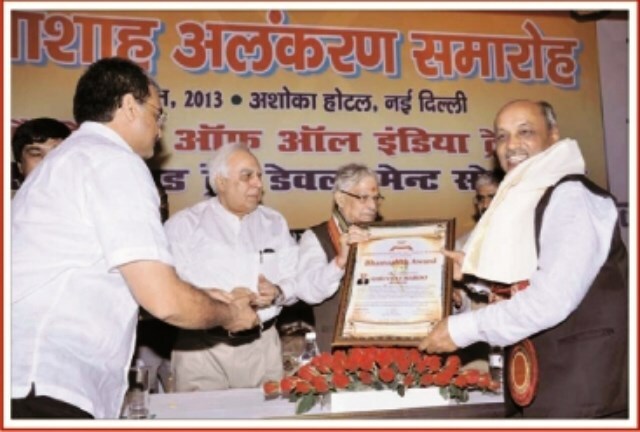 Sri Vijay Maroo, Trustee, EVFI was bestowed the prestigious 'Bhamashah Award' on 12th August 2013 in New Delhi. Union Communication Minister Sri Kapil Sibbal and former Union Minister and Chairman of the Public Accounts Committee of the Parliament Dr Murli Manohar Joshi awarded him with a trophy and a citation. The award is given by the Confederation of All India Traders. It was given to Sri Maroo in recognition of his contribution to the development of journalism and work for the Ekal Vidyalaya Movement. 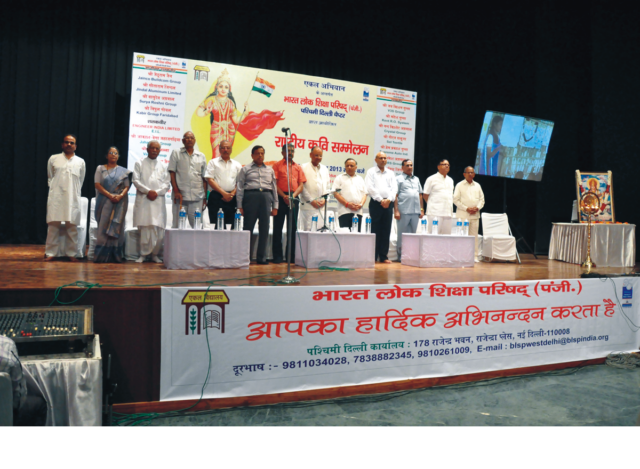 Bharat Lok Shiksha Parishad (BLSP) organized two cultural programmes in the month of July & August 2013. The first one was a play based on the life of famous saint & poet ‘Surdas’ staged by celebrity actor Sri Shekhar Sen. It was organized on July 28, 2013 at Siri Fort Auditorium, New Delhi. The performance of Sri Shekar Sen spell-bound the audience in the jam packed auditorium. The second programeew was a ‘Kavi Sammelan’ held at Sri Guru Govind Singh College, New Delhi on August 18, 2013. Famous poets of Delhi participated in the programme and cheered by the audience. The donors of Ekal Vidyalaya were honoured on this occasion. The birth centenary of late Tulsi Prasad Khaitan was held on July 13, 2013, at CII Hall in Chandigarh and in the presence of a distinguished gathering donation was given to Ekal. Sri Ravidev Gupta, Secretary, Ekal Vidyalaya Foundation of India attended the function and gave a presentation on Ekal Vidyalaya working in the Tribal and Rural India. Sri Ravidev Gupta received the donation of Rs.80,000/- for adopting 5 Schools, from Smt. Uma Shashi Kanodia, the eldest daughter of late Tulsi Prasad Khaitan. Tulsi Pushpa Khaitan Foundation is a charitable society formed in the memory of late Tulsi Prasad Khaitan and late Pushpawati Khaitan. 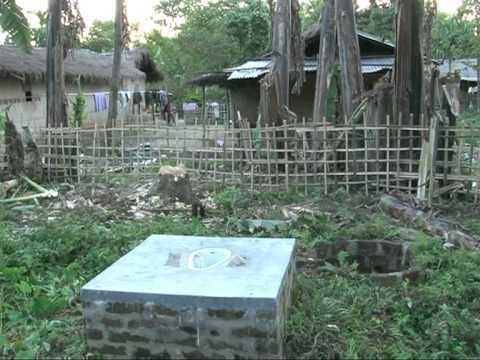 It focuses on supporting initiatives in the field of education and healthcare as well as calamity relief. I live in Canada in a village called Valemount with a population of 1000 people. I moved to this place about 12 years ago and this tiny village in the mountains resonated with many of the values I grew up with. At first glance, one might wonder how can a city of 20 million - Mumbai - where I was born and raised have anything in common with a small village that is 300 km away from the nearest city and 550 km away from an airport. However, spend a few days in Valemount and it is not hard to see. When I visit India and travel through Mumbai, it is a challenge for me to see how privileged I am. The disparity in wealth between the rich and the poor can sometimes bring me down or fill me with guilt for something like taking an auto rickshaw. Hence, my search is on to see where I can contribute my energy, especially to empower women and children, and to enable people to become resourceful and independent. And I am always aware and reminded that these associations / interactions are a two-way street from which I receive tremendously from the new people I meet be it lessons of openness, generosity, contentment, positive attitude, gratitude, humility, spirituality and so on. My intention in putting my experience on paper is not to echo some of the works being done by a non-government organization Ekal, which can be easily found out if people visited ekal.org but to bring light to other ways in which Ekal is making a difference, and to encourage them to continue doing so. When Smt. Padma arranged for us to visit an Ekal setup near Cuddalore, I was hoping to be a fly on the wall and see a School in action and maybe talking to a Acharya (teacher) or student. I was not expecting a gathering of 25+ Acharyas and field workers called in just for me to meet. However, I was glad it happened that way. I was inspired to see how far the Acharyas and field workers had come along especially after meeting a couple of new Acharya recruits. I was thrilled to see Karthik so confident in organizing and interacting with junior Acharyas and committee members alike and witness the difference Ekal can make not just in the lives of children but also the adults they collaborate with. It is empowering to hear Karthik and Kokila talk about their experience going into unknown villages and meeting with the elders or connected individuals to see whether there was a need or opportunity to add to the lives of children through a school. Then we also visited two Ekal schools run by Acharyas Vembu and Karthika. What a treat to watch and interact with the children in the class. And also see the villagers and parents come by and interact with us with pride that their children go to Ekal schools. There was lots of value in children of various ages studying together with older children mentoring younger ones. I experienced a similar setup in a 30-students fine arts school in a neighbouring community. The dedication of the young Acharyas and field workers is tremendous. They commit to playing an important role in enhancing the lives of children. The Ekal Vidyalaya setup has been focussed on broadening the exposure and opportunities for students. 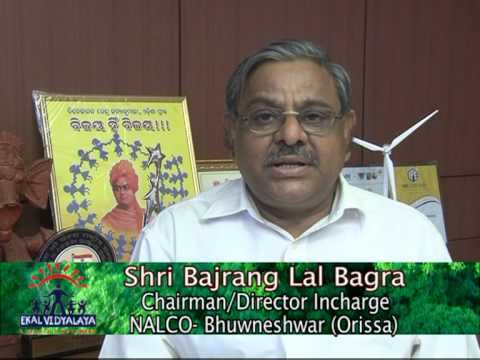 But Ekal is also playing a valuable role in the lives of adults, who are mainly women, delivering the programmes. I think Ekal's mandate of empowerment should also extend to improving the opportunities for its workers, who can, in turn, provide more opportunities for their children. 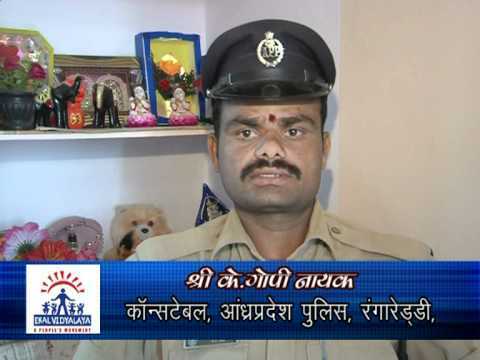 NGOs like Ekal are looking abroad seeking patrons for fundraising. And I am willing to contribute my resources, financial or otherwise, in helping Ekal. And I am sure they will be more than willing to support Ekal especially if they are also forefront in providing fair and truly reasonable wages for their workers. Ekal needs to be proud of not just schools and students it supports but all the field workers, Acharyas, committee workers that it empowers along the way.